Please note that these are a mix between Overstock Items, Shelf Pulls, Seasonal Items, and Store Return items. What you are purchasing: You are purchasing a Gaylord box (39X39X47) full of the above mentioned items. These items have NOT been tested, or inspected to ANY extent. Examples of items that may be included: Coffee Makers, Blenders, Toaster Ovens, Juicers, Ext. Brands may include: Keurig, Hamilton Beach, Cuisnart, Oster, Elite Cuisine, Ninja, Black and Decker, Ext. 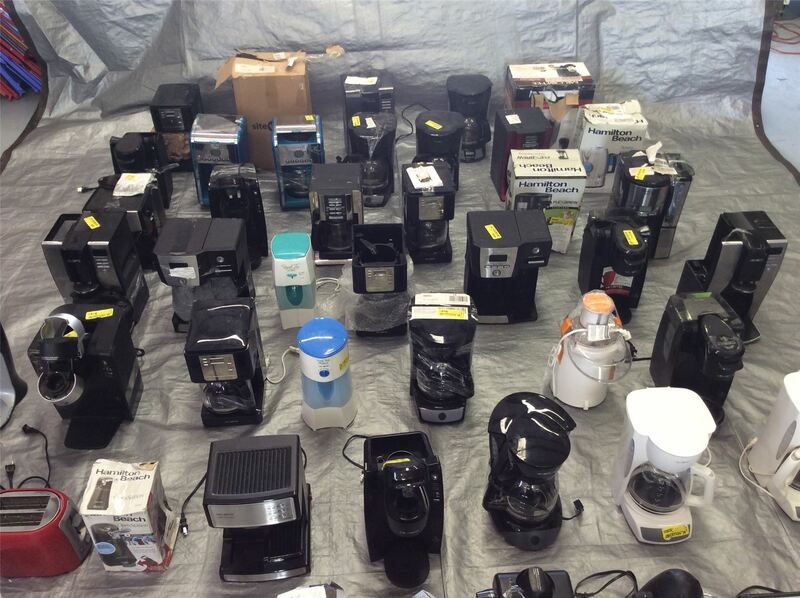 Click the button below to add the Wholesale Lot Coffee Makers,Small Kitchen Appliances Approx. 52 Pieces to your wish list.